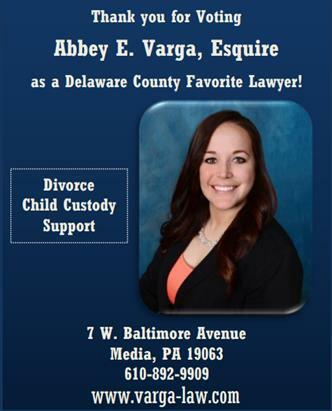 We are happy to announce that The Delco News Network’s Town Talk has named attorney Abbey E. Varga as one of Delaware County’s “Favorite Lawyers” for 2018. The newspaper received thousands of votes in its annual Talk of the Town survey, the results of which were published in a special section of the newspaper on August 29, 2018. We are incredibly grateful for this honor of being recognized by the community that we serve.